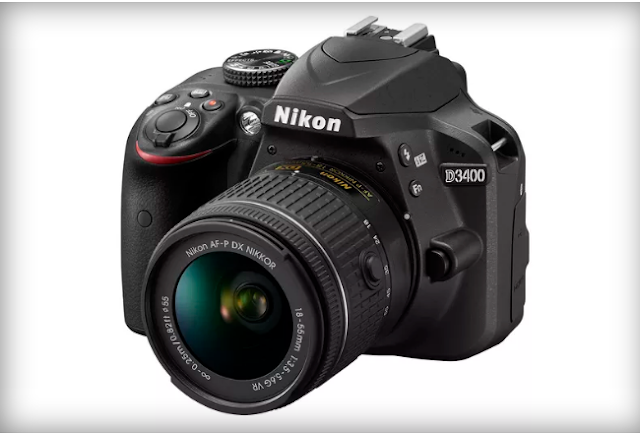 Nikon announced the D3400, its latest compact, entry-level DSLR. A successor to the two-year old D3300 (a Digital Trends recommended camera), the D3400 is nearly identical in almost every regard, but there are a few notable exceptions. Available in September, the D3400 will be released alongside a collection of new lenses specifically designed for Nikon’s entry-level DSLRs, called the AF-P DX Nikkor series. This will be the first entry-level DSLR with the company’s Snapbridge software, an always-on Bluetooth Low Energy connection that lets the camera automatically transfer images to a user's smartphone — no Wi-Fi required. Snapbridge was introduced with the D500, a more expensive prosumer DSLR, earlier this year at CES, and so far the feature has seen a slow rollout. The D500 was released earlier this summer, but Snapbridge only works with about a dozen Android phones (with some obvious absences like Samsung’s S7 and S7 Edge), and an iOS version of the app has still not shipped. The D3400 will be a bit lighter than the D3300 was, which is impressive considering the D3300 was already 30 percent smaller and 25 percent lighter than the D3200. Nikon says the D3400 will weigh 395g, which would be 15 percent lighter than the D3300. Available in black or red, the D3400 kit edition, which comes with the AF-P 18–55mm VR lens, will be available in early September 2016 for $650. Nikon will also sell a two-lens kit, which includes the 18-55mm VR lens and the 70-300mm non-VR lens, for $1,000. The lenses will be available individually around the same time the D3400 hits the market. The 18-55mm lenses will sell for $250 (VR) and $200 (non-VR), and the 70-300mm lenses will cost $400 (VR) and $350 (non-VR). You can save $50 by going with the non-VR options, but as we said, we think it’s a small premium to pay for a useful feature.